The one and only! 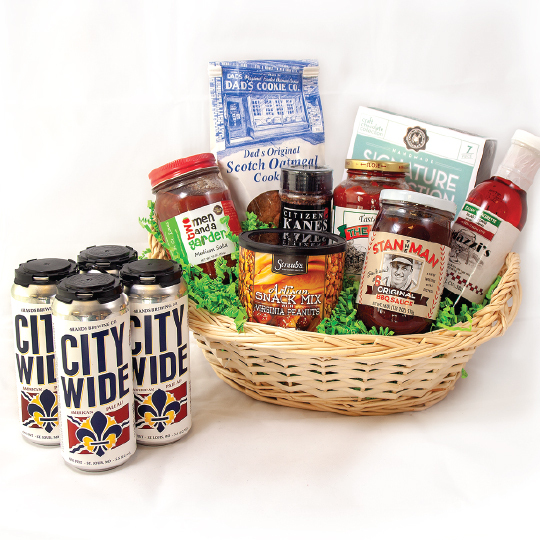 One of our top selling baskets, with a beautiful array of foods and drinks from St. Louis. 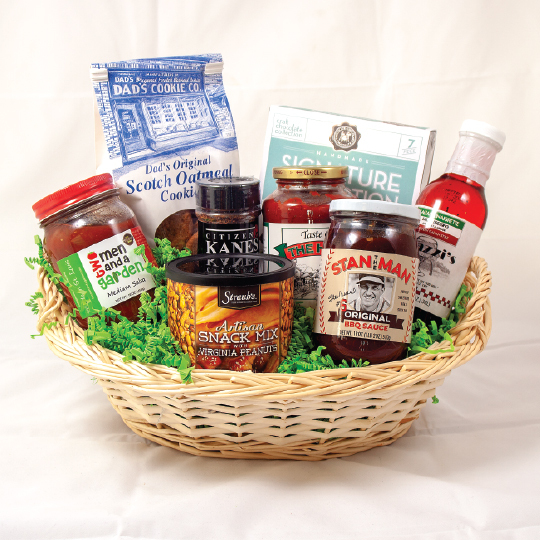 With favorites like Stan the Man BBQ Sauce, Rigazzi's Salad Dressing, Citizen Kane's Steak Seasoning, 2 Men & a Garden Salsa, Taste of the Hill Pasta Sauce, Dad's Scotch Oatmeal Cookies, Straub's Artisan Snack Mix and Chocolate Chocolate Chocolate Signature Collection 7 piece box of chocolates. We're sure this basket will impress. Add a bottle of Muddy Arch Roussanne or a 4 pack of City Wide Beer for a luxurious gift.